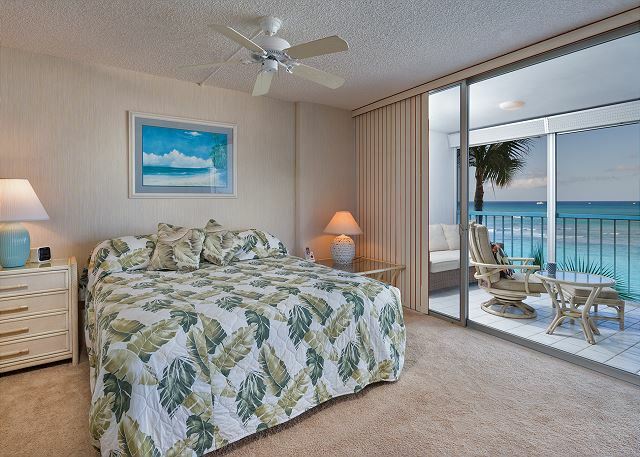 Located in the middle of the desirable San Souci. 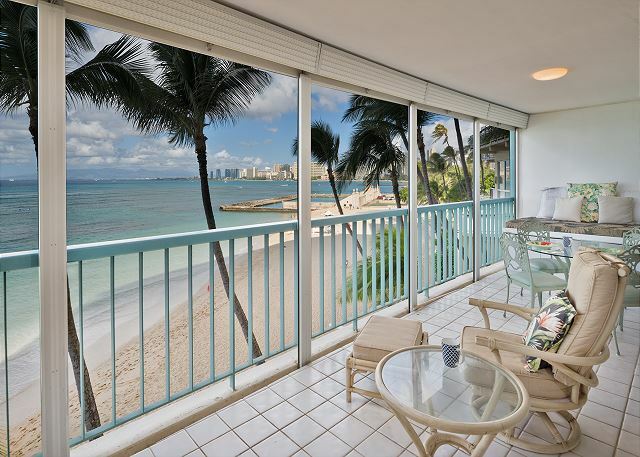 Direct Oceanfront One Bedroom/One Bath with huge lanai directly overlooking Sans Souci Beach. 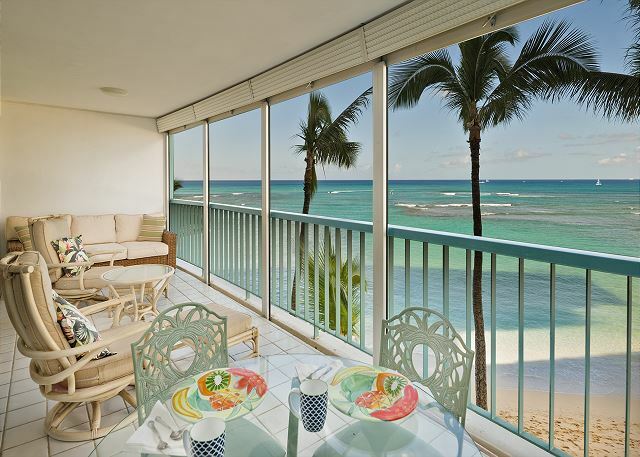 Enjoy the view of the calming Pacific Ocean from your lanai. Watch the Friday night fireworks and the beautiful daily sunsets! 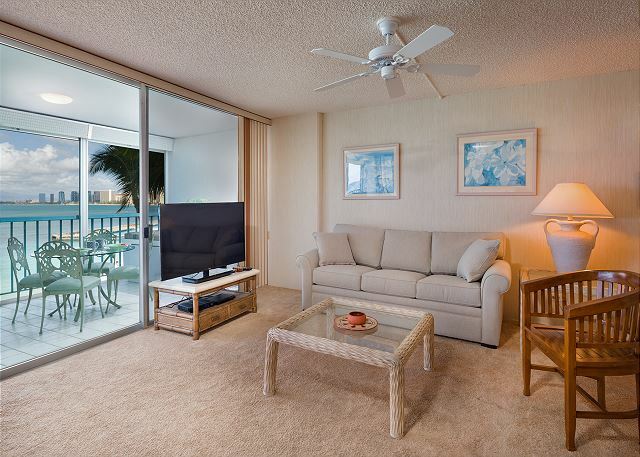 Unit is fully furnished with full kitchen, one king sized bed and one queen sized sofa bed. 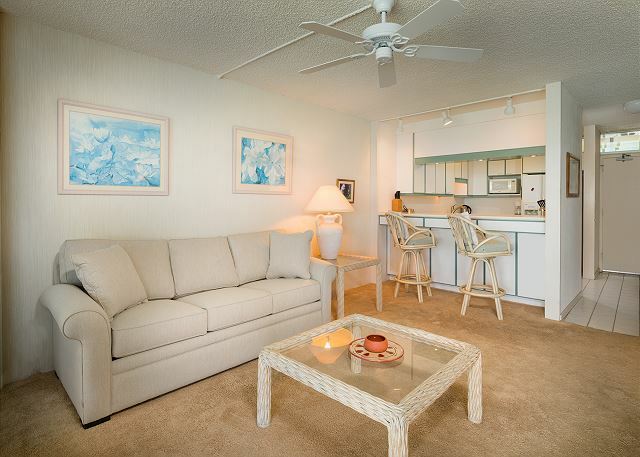 Free WiFi, Cable TV and one covered parking stall included. There is no partition between king bed and sofa bed. The laundry facilities provided on each floor. A resident manager is available whenever you need assistance. 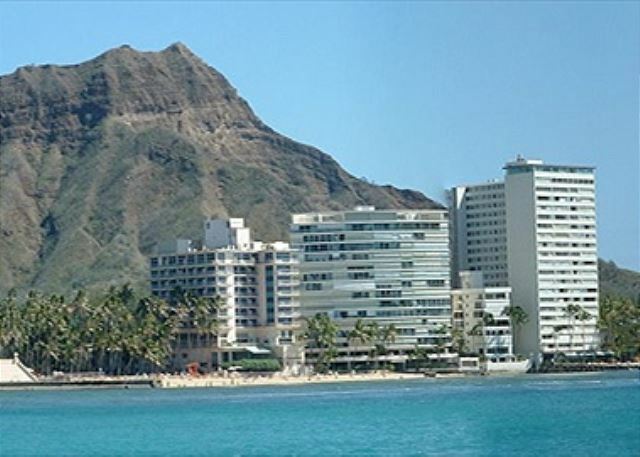 On the other side of the building is Kapiolani Park, with Diamond Head right up the road and in full view. 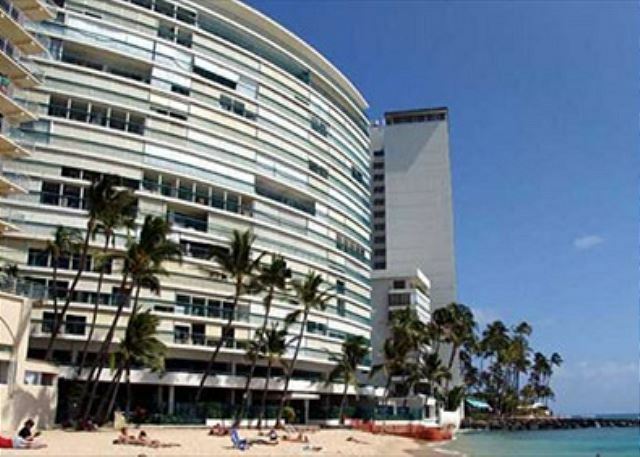 Easy access to aquarium, Zoo and a world of Waikiki Shopping, dining and entertainment. There is no home phone in the unit. Great location. Had every meal on the lania. 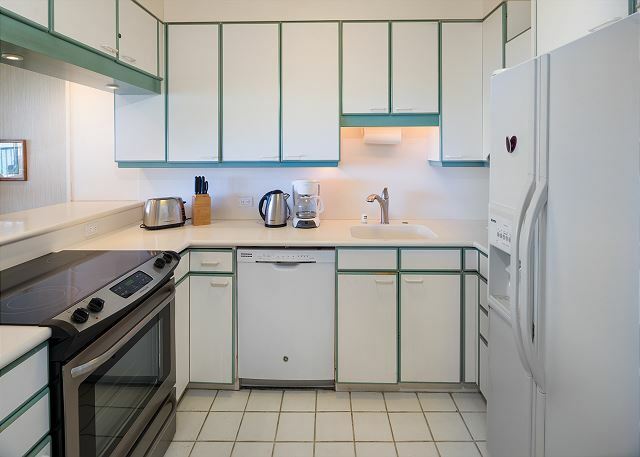 Great property manager and was always available when needed. Parking good and beach perfect.